Includes (6) 25 oz. 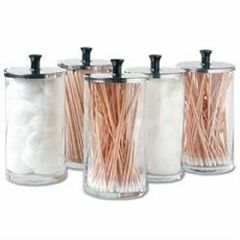 glass dispenser jars with lids. Ideal for organizing all of your supplies.